29-inch sheetfed UV inkjet digital printing system. Provides suitability with a wide range of printing stocks and sheet thicknesses, including ordinary offset printing paper. Stable high print quality thanks to its superior tone reproduction and register accuracy as in offset. With instant curing and one-pass double-sided printing, ready for immediate finishing. The outlook for print is changing as a result of the development of digital communications. In addition to driving forward the idea of OffsetOnDemand in offset printing, Komori understands that raising efficiency and profits by taking advantage of both offset and digital printing technologies is the key to success for printing companies. Success requires the reliability and print quality of o­ffset presses combined with the variable data printing capabilities and short run convenience of digital printing systems. 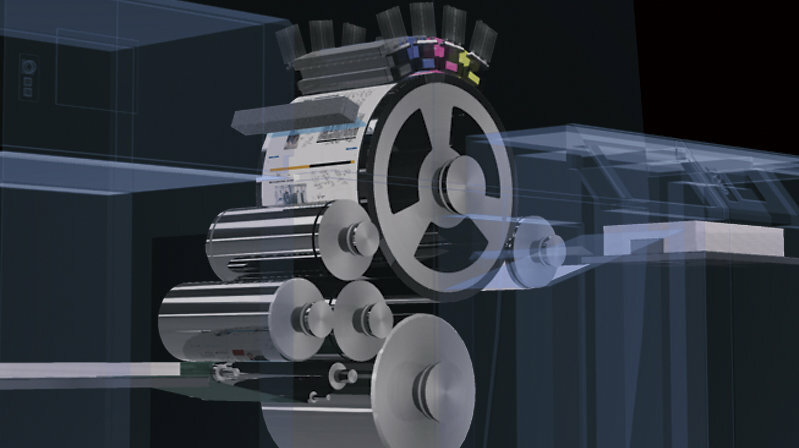 To offer the total power of these capabilities, Komori is creating DigitalOnDemand solutions. 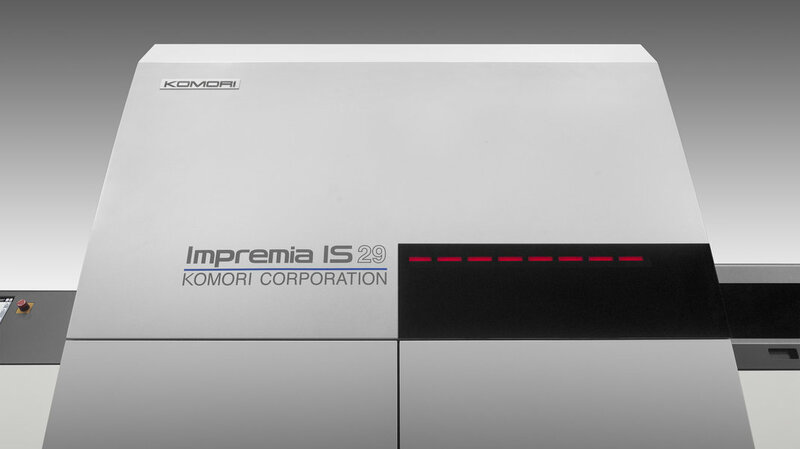 And now Komori has developed the high quality Impremia IS29 digital printing system as the key machine in the Komori OnDemand melding of off­set and digital. Impremia IS29 is ready for the short-turnaround on-demand printing environment that handles short runs of many different printed products with exactly the same high front/back register accuracy as offset. The machine incorporates a perfecting mechanism, thus accommodating not only 4-up single-sided but also 8-up double-sided impositions. Provides suitability with a wide range of printing stocks and sheet thicknesses, instant curing, one-pass double-sided printing, ready for immediate finishing. Performs integrated control of the press and functions as the window linking the press with various software and systems, utilizing KHS-AI: Next-generation Integrated Control System. 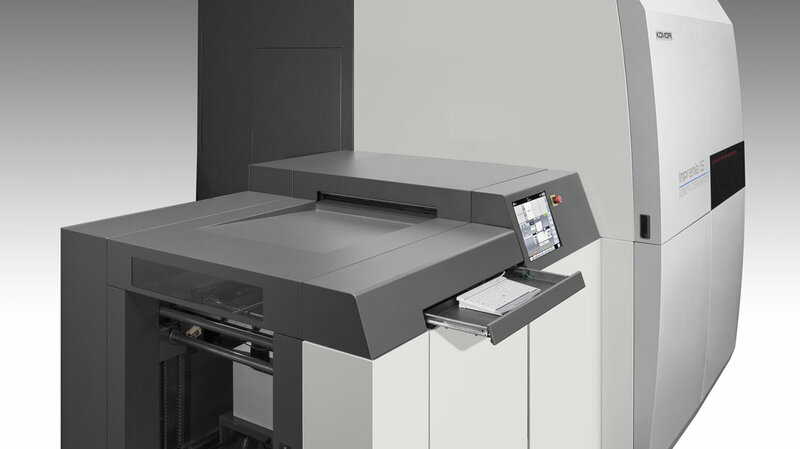 The Impremia IS29 is a state-of-the-art digital printing system with a maximum sheet size of 585 x 750 mm. Digital printing in the 29-inch size greatly expands the range of work. The system prints large posters, paged items with multiple impositions and packaging that conventional A3 machines could not handle. Six-up US letter-size impositions are trouble-free. The machine incorporates a perfecting mechanism, thus accommodating not only 4-up single-sided but also 8-up double-sided impositions.